Posted on February 8, 2018 at 5:56 am. When was the last time you had your air ducts cleaned? If you are not really sure if it’s the right time to schedule an air duct cleaning, here are the signs that you need to consider. The presence of mold is an indication of dirty air ducts. Molds are dangerous particles that trigger asthma, allergy and breathing difficulties to members of the family. Excess moisture in the air ducts causes the appearance of mold on the vent covers. If this happens, schedule a professional duct cleaning right away to sanitize the affected area. 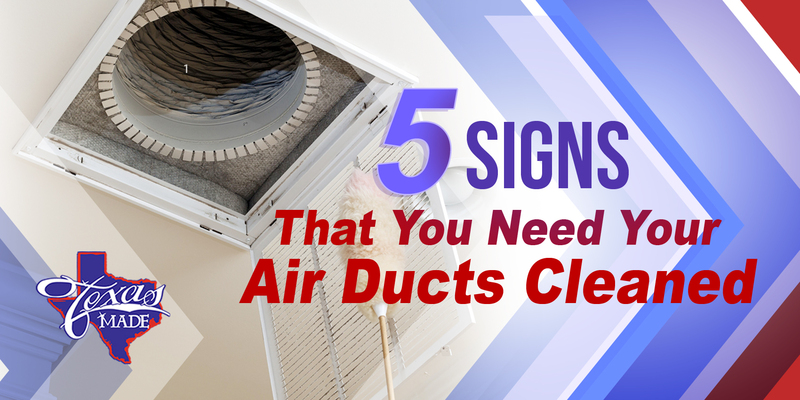 Dust, dirt and other debris can gather in the air ducts over time and may restrict the air flow. If you happen to see these particles being forced out of your vents when you start to run the system, you may need to have your air ducts cleaned right away. If cleaning is delayed, the dirt and other debris can block air flow and bring stress on your heating and cooling system. The air filter is one of the major components of your HVAC system that needs to be maintained at a regular rate. If the air filter is filled with dirt and dusts, it prevents proper air flow and may bring negative effects on the unit. Also, a clogged air filter prevents air from passing through, causing dirt and debris to gather in the air duct. Are you having issues with insects and rodents recently? These pests find your air ducts a nice place to stay and sometimes find their way into your ventilation system. They might be leaving waste particles and other virus and bacteria which can spread in your home. Have your air ducts cleaned to get rid of dead rodents and insects a well as unwanted particles they may have left behind. If you notice an excess hike in your utility bill, this could mean that your heating and cooling system is working harder, consuming more that the right amount of energy for your comfort. Most of the time, the cause is restricted air flow due to dirt build up. Clean both air filters and air ducts to bring back your unit’s proper operation. If you think now’s the time to have your air ducts cleaned, feel free to call the professionals at Texas Made Air Conditioning and Heating.